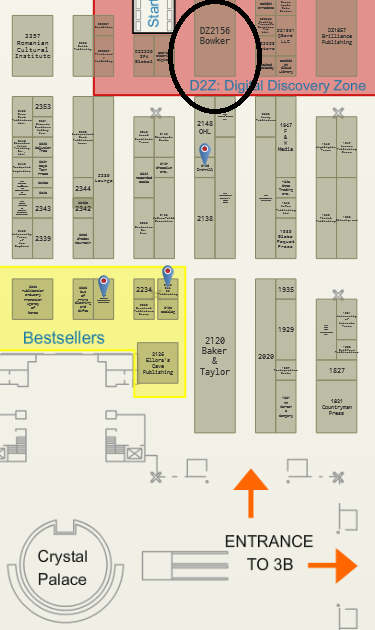 BEA 2014, as well as IDPF 2014, both promise to be a great time – and not just for all of the free stuff and getting autographs from famous people/authors. This is a great time to be an author, either independent or traditionally published. There are so many more outlets and options for distribution, marketing, discovery, and sales than even just five years ago. No matter where you are in the world, no matter your genre, you can develop some sort of author platform pretty quickly these days! … and that’s just part of tomorrow’s BEA program! Bowker, an affiliate of ProQuest, will have a large presence on the show floor, in the Digital Zone. We hope you will attend some of our presentations, stop by the booth to pull up some literature on our new e-doc station, or sit down with one of our reps to chat about what’s new. We’ll also be Tweeting just about constantly, so keep an eye on us via our handle, @Bowker.